FFC Frankfurt, Wolfsburg and Lyon take leads into Wednesday's quarter-final second legs while Barcelona travel to Paris Saint-Germain with their tie goalless. Last season's runners-up Paris were frustrated in front of Barcelona's club-record crowd of 8,369 last week as the Blaugrana gave themselves hope of being the first Spanish side to make the last four. Paris – whose club can complete a unique treble of men's and women's UEFA Champions League titles and the UEFA Youth League – have not conceded a home goal in 18 competitive matches this season, though Barcelona are themselves unbeaten on the road in 2015/16. What to watch: All-time competition top scorer Anja Mittag of Paris remains one goal away from becoming the first person to reach 50 in UEFA women's club play. Rosengård fielded six winter signings in Malmo last week, including two keepers after Canada's Erin McLeod suffered a cruciate knee ligament injury taking an early goal kick. Her on-loan replacement Sofia Lundgren, who won the 2003 and 2004 UEFA Women's Cup with Umeå, seemed to have held out but Dzsenifer Marozsán's 71st-minute penalty gave holders Frankfurt a lead to take home to Germany. Marozsán will miss the return through suspension while Rosengård have signed Jessica Höglander on a one-match loan as emergency goalkeepign back-up. What to watch: Can Lundgren, who kept two clean sheets against Frankfurt in the 2004 final, repeat the trick? Tessa Wullaert, Alexandra Popp and Caroline Graham Hansen scored in the first leg for a Wolfsburg team that lost Nilla Fischer in the warm-up and would have scored more had Camelia Ceasar not kept goal so well for the first-time quarter-finalists. Fischer returned for Wolfsburg in Sunday's 4-2 win at Sand that kept them second in Germany and Brescia have a tough task to keep alive Italy's only hope of having a representative in either UEFA Champions League final on home soil this season. They will need more than the impressive 1-0 wins they managed against Liverpool and Fortuna Hjørring in previous rounds. What to watch: Wolfsburg have not lost any of their previous 14 European away games. A 11,732 crowd enjoyed a typically clinical OL show in their debut at the new Stade de Lyon, with Camille Abily's bicycle kick the pick of some impressive goals. At Eden Stadium, Slavia (who won 9-1 at Slovan Liberec on Sunday) welcome back Diana Bartovičová and Tereza Kožárová from suspension and whatever the result have exceeded expectations during their best European run. What to watch: Ada Hegerberg has struck twice in all five of Lyon's European ties so far and is competition top scorer on ten, twice as many as anyone else has managed in the knockout phase. UEFA.com peeks on to social media to tell the story of the UEFA Women's Champions League quarter-final first legs through the eyes of the players and the clubs. FFC Frankfurt won 1-0 at Rosengård, Wolfsburg beat Brescia 3-0 and Lyon put nine past Slavia Praha, but the quarter-final first leg between Barcelona and Paris Saint-Germain ended all-square. 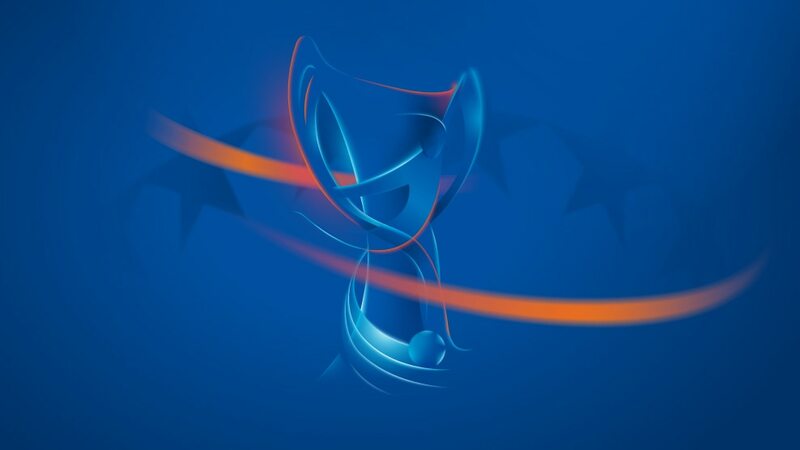 Tickets for May's UEFA Women's Champions League final in Reggio Emilia are on sale priced at €10 and €7 with discounts for concessions, family and group tickets.